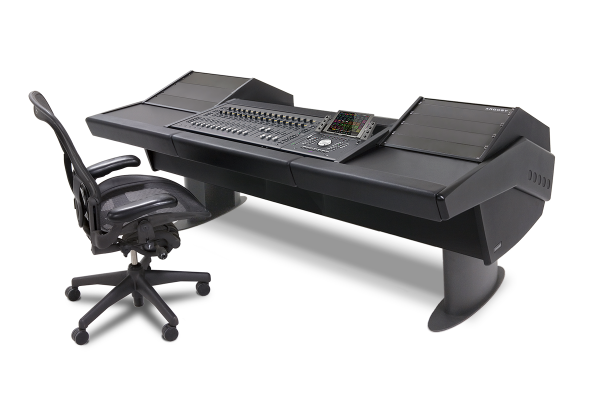 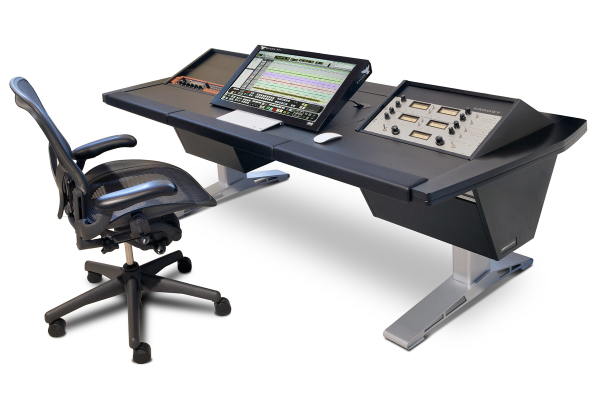 Another popular configuration is this "Rack / Desk / Rack" - a smooth writing desk surface in the middle for any number of control surfaces, mixers, and screens - flanked by two 19" rack units for easy access to critical gear. 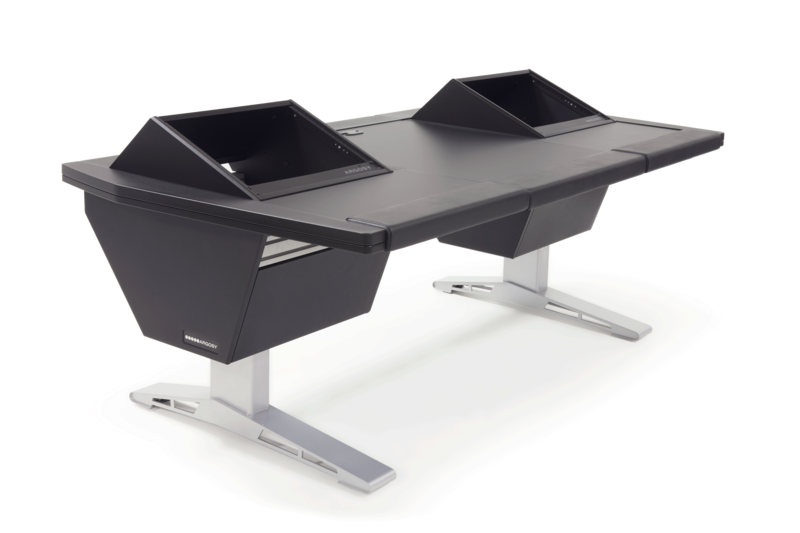 You can easily adapt the Eclipse in the rack/desk configuration that best suits your needs. 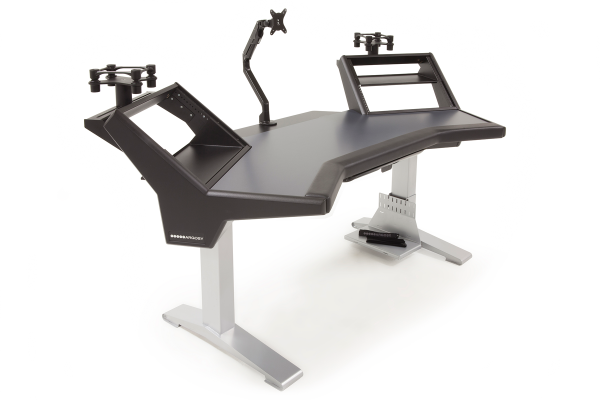 Give us a call or email and let us know what works best for you. 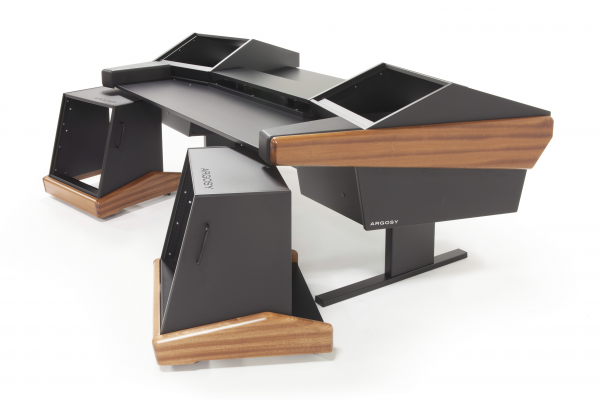 Modular System of Desk Space and Rack Units. 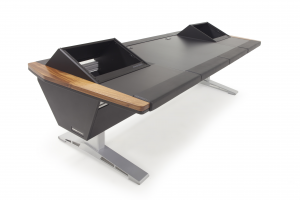 Modularity and flexibility defines the Eclipse Console System. 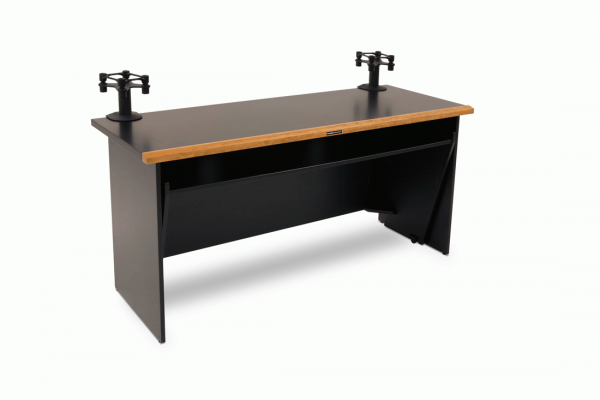 This popular configuration allows you to maximize desk space and keep rack space "on board". 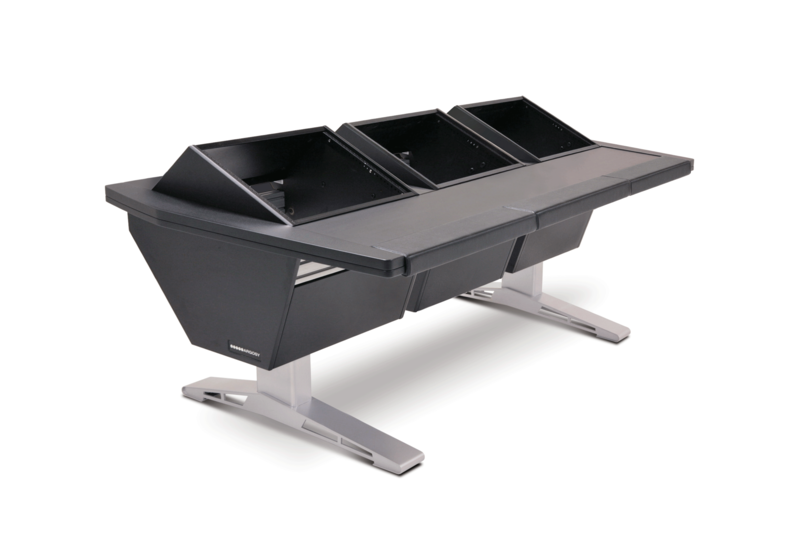 You choose at the time of your order to have the Rack Module placed on the left or right hand side. 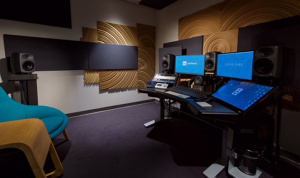 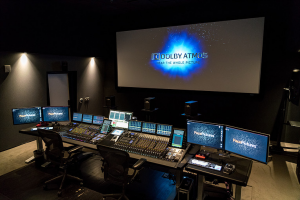 Making it possible to collaborate - with a larger desk area you can create an impressive workspace for multiple screens, equipment, and people. 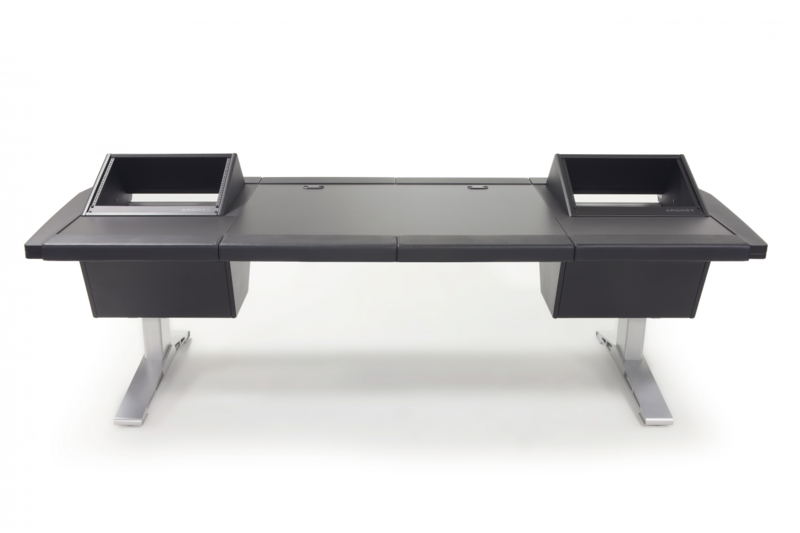 Don't see the configuration you need? 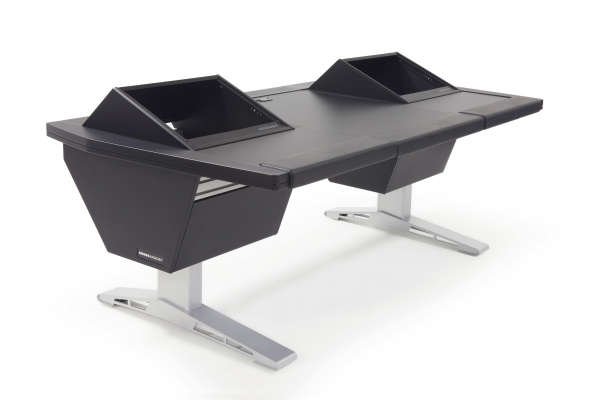 Give us a call, with the flexibility of the Eclipse Console System, we can help you create the environment you desire. 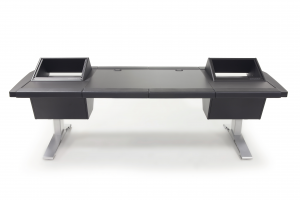 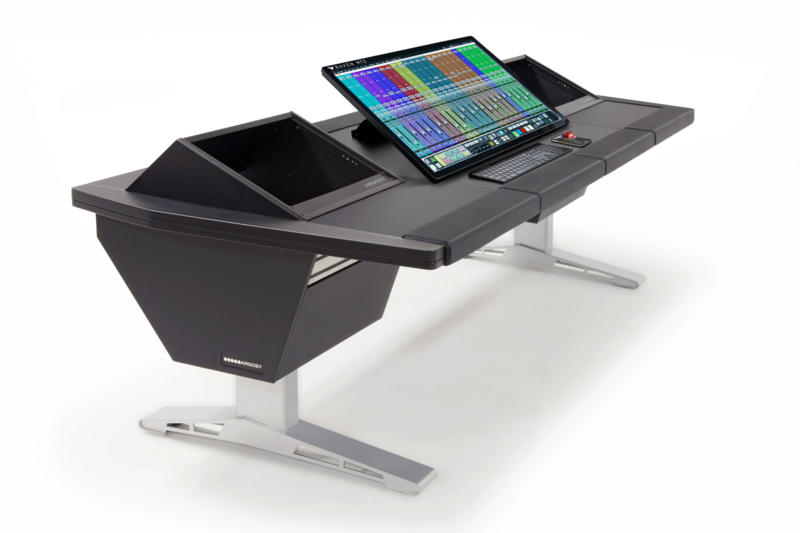 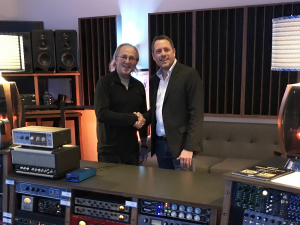 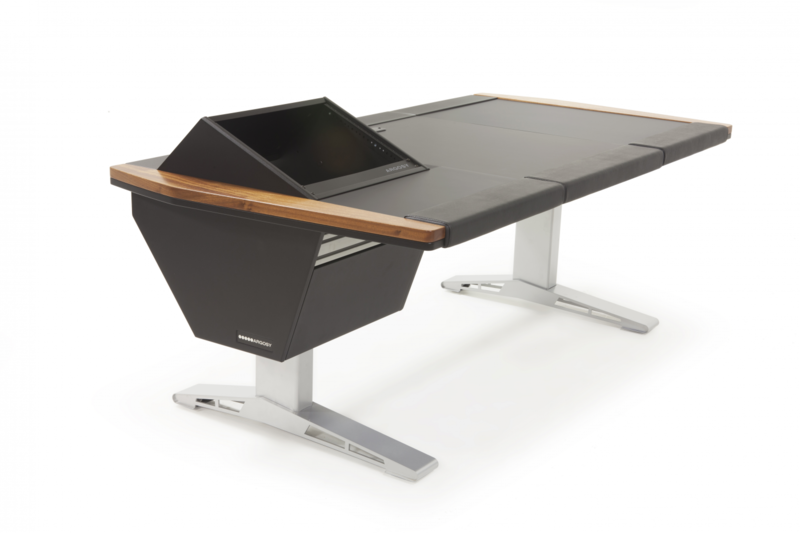 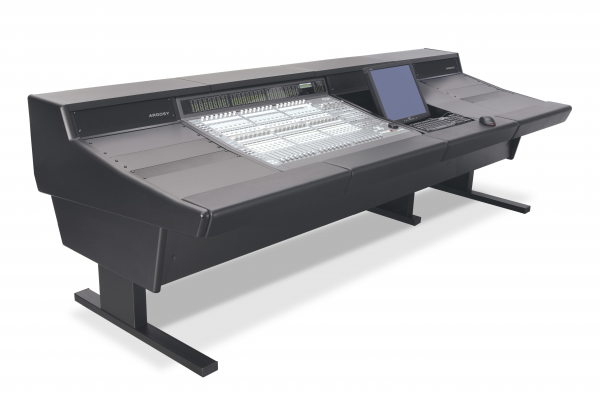 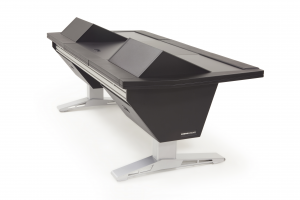 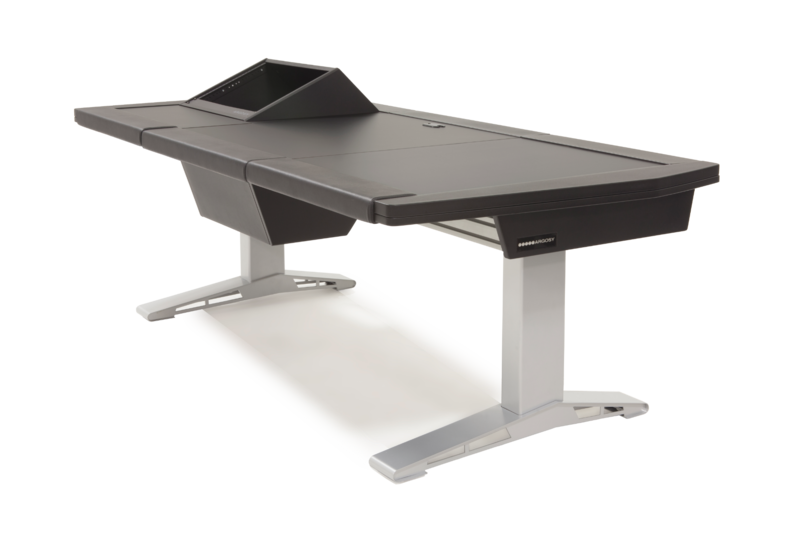 The Eclipse Console System allows you to configure your desk by integrating desk space and 19" rack space to create an elegant and inspiring centerpiece to your studio. 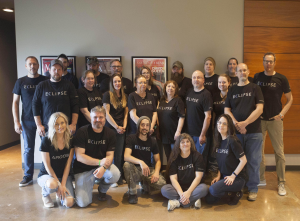 Eclipse is luxury at an affordable price. 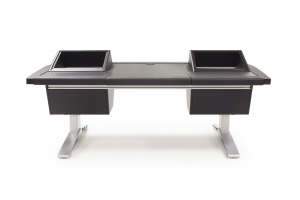 With sleek steel legs, performance leather armrests, and an aluminum rail frame system, the Eclipse is stylish, functional, and sturdy. 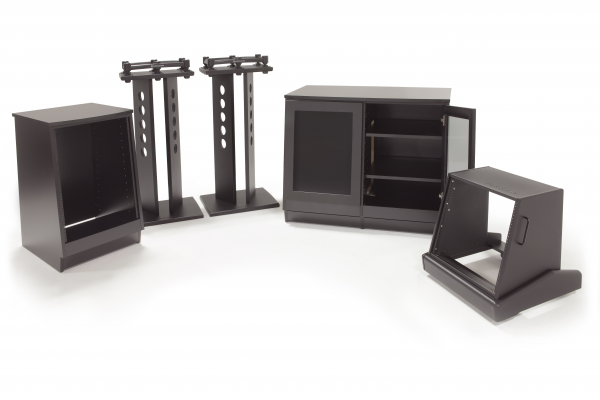 Cable pass-throughs between rack modules and in the steel leg assemblies allow you to conceal and protect vital cabling and connections. 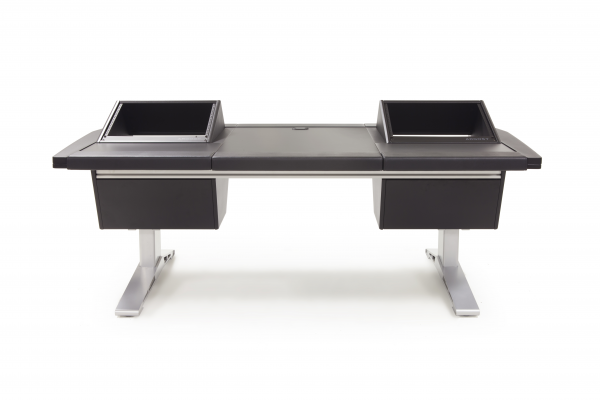 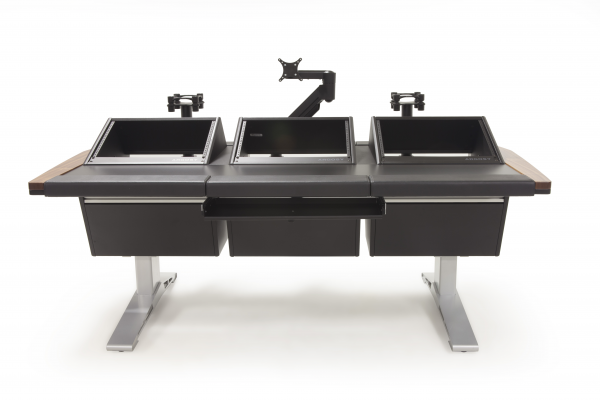 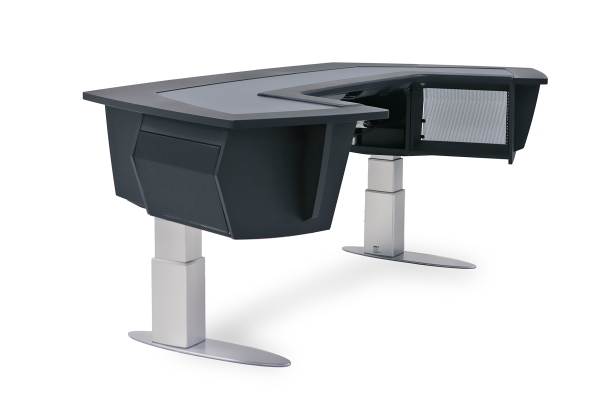 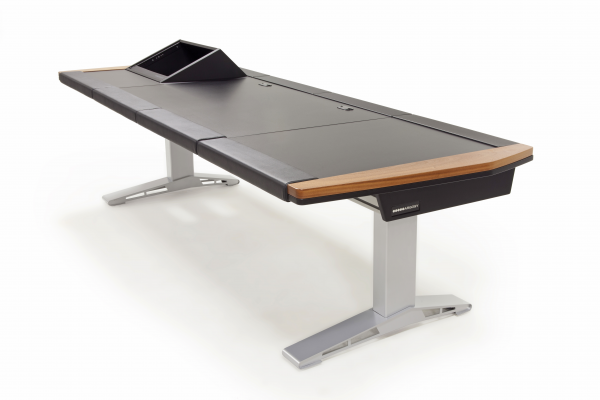 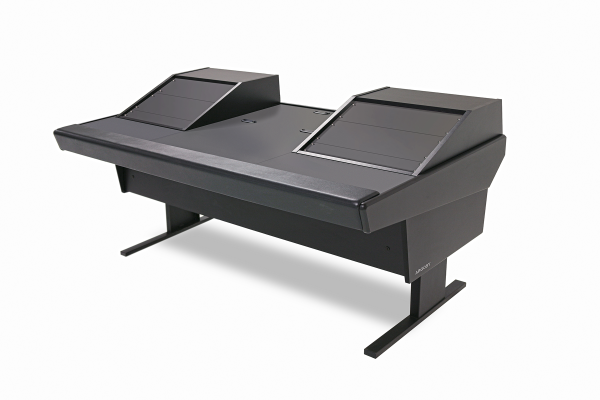 The Eclipse Console System utilizes Aluminum Extrusion Rails that provide extreme support as well as provide an accessory rail mount for a host of optional accessories including: Monitor Arms, Speaker Mounts, and Sliding Keyboard Trays. 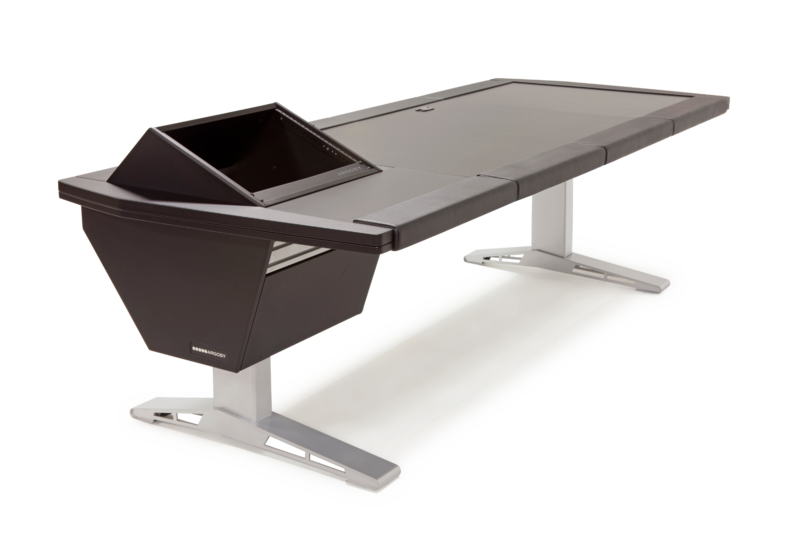 Let our engineers design the ideal solution for your application. 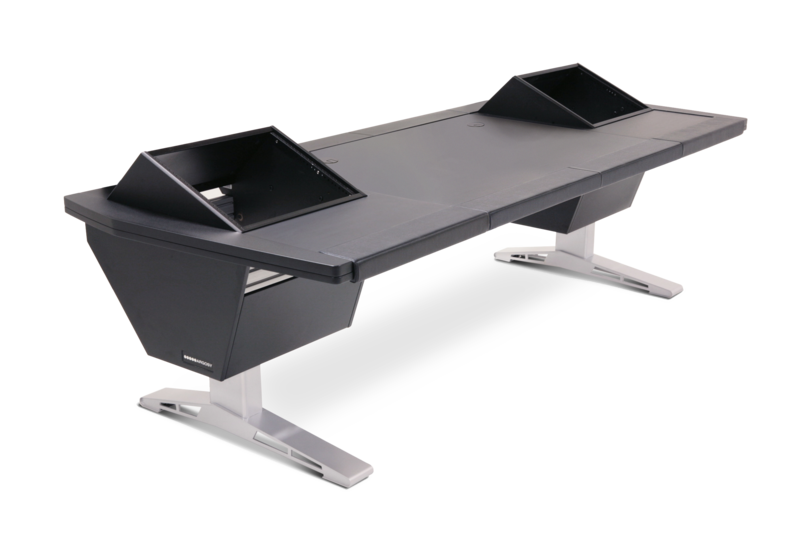 Contact us with your specifications and we will help you create the perfect solution.